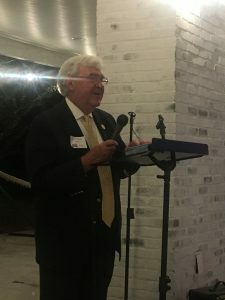 It is with a broken heart that I write about the untimely death of Justice Harris Hines, former Chief Justice of the Supreme Court of Georgia. Below is a wonderful obituary by Katheryn Tucker of The Daily Report. Justice Harris Hines was a walking example of how we, as lawyers, should conduct ourselves both professionally and personally. He had a wonderful sense of humor and could tell a story better than Mark Twain. Our family enjoyed a close relationship with him and his beautiful wife, Helen, and I will be eternally grateful for the times we had together. They knew our daughter was a soccer goalkeeper in high school and often compared it to being the parents of a football field goal kicker, as they were with their son, Hap. We connected knowing that your child, as goalkeeper or as field goal kicker, could end up being the the MVP of a win or could be the blame for a heartbreaking loss. We enjoyed many dinners and State Bar trips together. One of my favorite moments was riding back to Jekyll Island on the bus from Jacksonville after UGA had beaten Florida and calling Justice George Carley to share the victory with him on the speakerphone. We sipped Woodford Reserve bourbon together on an Executive Committee trip to Lexington, Kentucky and often shared that fond memory with each other. 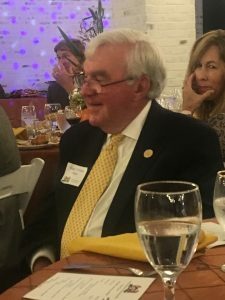 I am thankful that just two weeks ago Bill and I enjoyed dinner with him and Helen at the American Board of Trial Advocates (ABOTA) dinner and we once again got to experience Harris’s sparkling sense of humor and laughter. 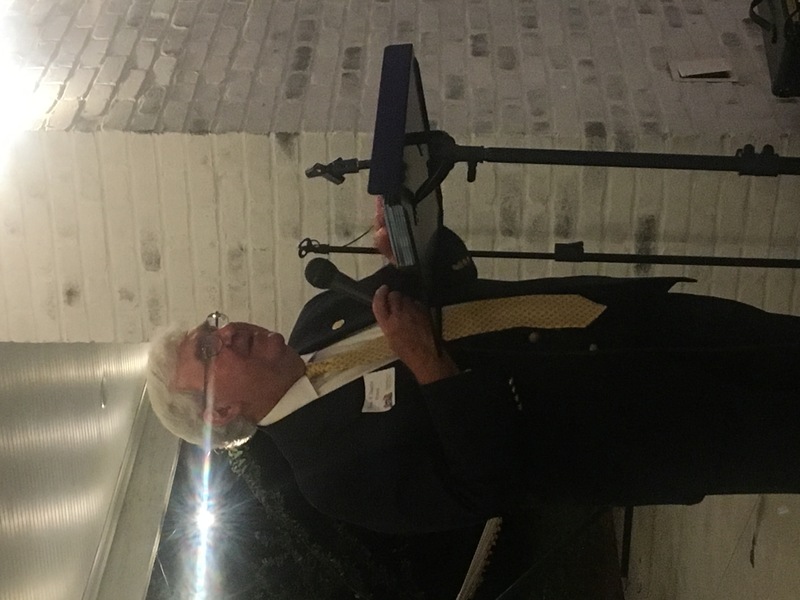 He was proudly a Georgia Bulldog, and referred to The University of Georgia as simply “The University.” When we told him that our daughter, Alex, had just been admitted to the University of Georgia Law School, he was as proud and as happy for her as if she were his own grandchild. I think the mark of a man can be summed up in one of my favorite scriptures, 1 Corinthians 13:1, that begins Love is patient, Love is kind. I believe we can easily substitute “Harris” for “Love” in that scripture , and that should give you the essence of Harris Hines: Harris was patient, Harris was kind, Harris was not jealous, Harris did not brag, Harris was not arrogant, Harris was not easily angered, Harris did not keep a record of wrongs, Harris did not rejoice in unrighteousness but rejoiced in truth. I sat down at the bar at Lawyers Club the other night with my good friend and Past President Hal Daniel, the sole endeavor in mind being to enjoy a cup of cheer together following a long day at the office. After we ordered our “usuals” and eagerly awaited Kenny’s expert renditions, instead of the usual “How are you doing?, Hal asked me the following question: “What have you done today to make someone else’s life better?” Intriguing. What followed was a genuine reflection of my day and Hal’s to see if we could honestly lay claim to such a noble endeavor as making someone’s life better rather than just barely making it through a hard workday unscathed and still standing and breathing. The question brought to mind one of my favorite stories about one of my heroes, Justice Robert Benham. 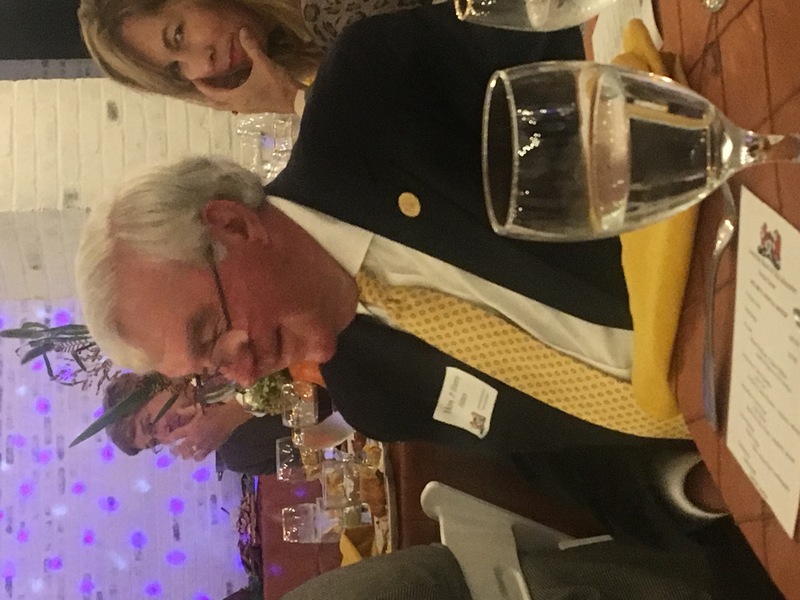 My service as President of the State Bar fortunately provided me many opportunities to spend time with Justice Benham and hear many wonderful stories about his life growing up in Bartow County. Before I share this wonderful story with you, let me give you a little background on the Honorable Robert Benham as a reminder and to set the stage. Justice Benham distinguished himself as the first African American to win statewide election in Georgia since Reconstruction. In 1989, Justice Benham was further distinguished as the first African American to serve on the Supreme Court of Georgia, following his appointment by Governor Harris. He also made history both as the first African-American to establish a law practice in his hometown of Cartersville. In what can only be described as something straight out of a movie, when Justice Benham would walk down the street in Cartersville to go to the Bartow County Courthouse, many fellow African Americans would come out of their homes and out of their places of work to follow him down the street. The shouts of “Attorney Benham’s going to court,” “Mr. Benham’s going to court” could be heard as they followed their hero, then “Attorney Benham”, to the courthouse, because they knew Attorney Benham was going there to stand up for the little guy, the underdog, which they, undoubtedly, felt they also were. Attorney Benham became for many African Americans the embodiment of justice, and although he was walking to court to represent one specific accused person, dozens of other citizens felt he was also representing them. “What are you going to do today for somebody else?” Quite a lesson that Justice Benham never forgot. Years later, Dr. Martin Luther King, Jr. would say that life’s most persistent question is “What are you doing for others.” Life’s most persistent question has been the hallmark of Justice Benham’s life. One of the hallmarks of the profession of law is a recognition that along with the privilege to practice law comes a duty to subordinate financial reward to social responsibility. We will celebrate many of our fellow lawyers who have done just that by offering themselves to public service through service on the bench at our cocktail meeting this month on Wednesday, February 18. Please come and thank our honored judiciary for their service. You won’t want to miss it. Let’s have a drink together soon at the club to discuss.